Have you purchased a new iPad and want to sell old iPad? 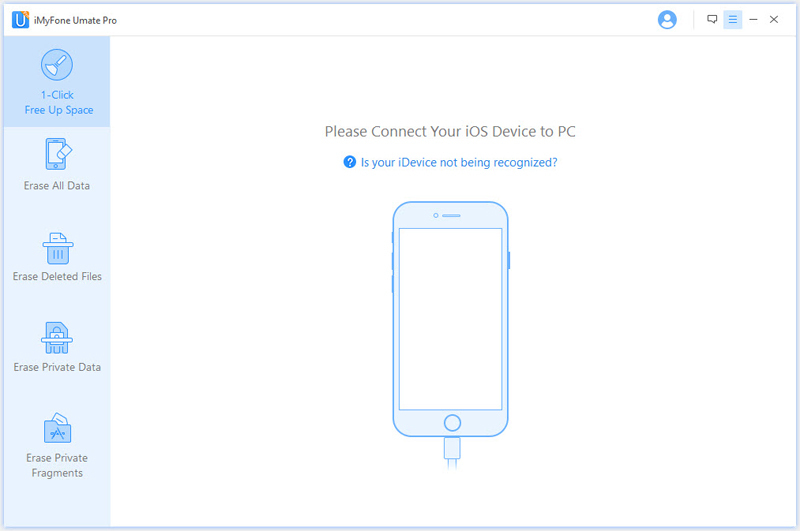 You need to learn how to prepare iPad for sale so you will not be releasing a gadget containing personal information. Do not risk accessibility of your info to potential criminals or curious seekers who may want to torment you. If your device is no longer as attractive as you once see it or you simply, want to move on, upgrade, or switch to Android or Windows, take time to manage your data. There are vital steps that you need to put in place before you put it up on sale on a site like Gazelle.. Since there is a myriad of information such as browsing history, call logs, SMSs, photos, and accounts that are stored in your device even after deletion, you need a mechanism that will completely clear the evidence from your device. 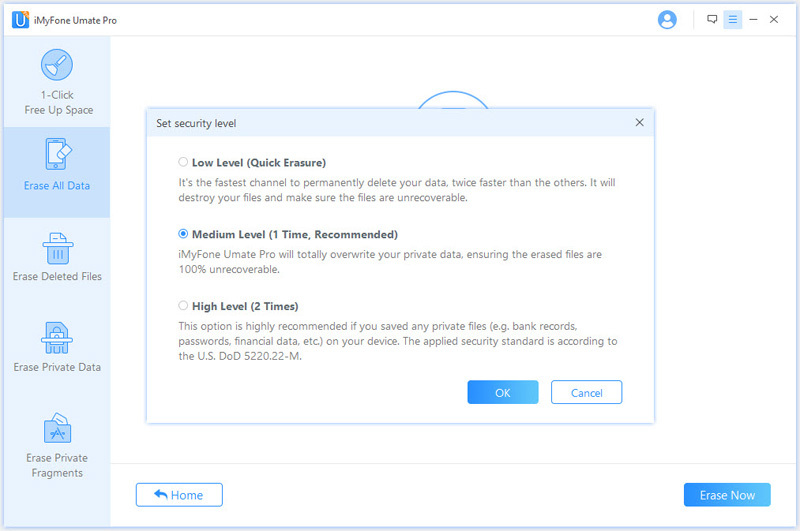 Umate Pro is the friendly tool that protects your identity theft and fraud by erasing all sensitive iOS data. If you need to sell, give away, or trade in your old device, it would be imperative to choose iMyFone Umate Pro. The data erased by this tool cannot be recovered by any known hacking tool. This is the best way to prepare iPad for sale. Part of your personal data includes countless photos. Exposing such information to unknown users may put you at the mercy of criminal minds or curious and mischievous users. Free up the memory by exporting them to PC for backup for future use and delete the rest. 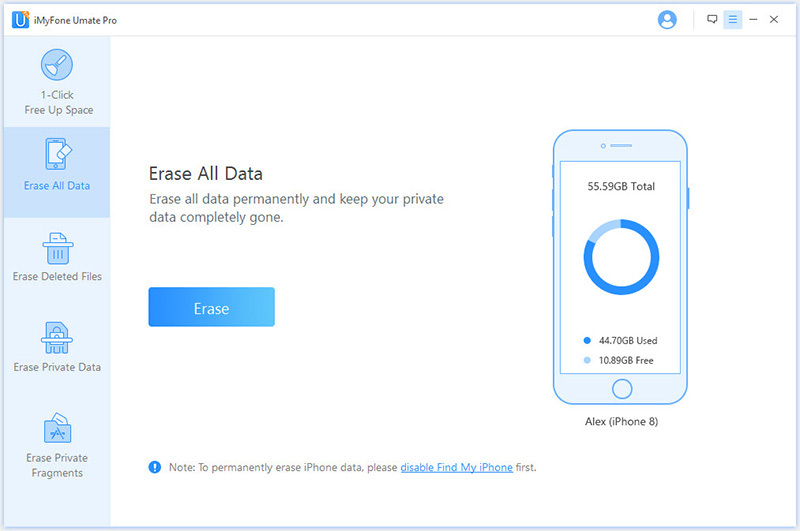 Umate allows you to completely erase all data ranging from contacts, SMSs, images, call logs, browsing and safari history, documents, and videos. Since regular resets are recoverable, Umate Pro will help you find a way to delete your documents without trace before handing it over to another person to use. Previously deleted data is actually still saved on your device. Umate makes it possible to completely ease the data without trace. Permanently erase the personal data with confidence that it will no longer be accessible again. Without trace, your phone will be as empty as it was fist time it was new. Keep data from your third-party apps completely hidden from hackers. 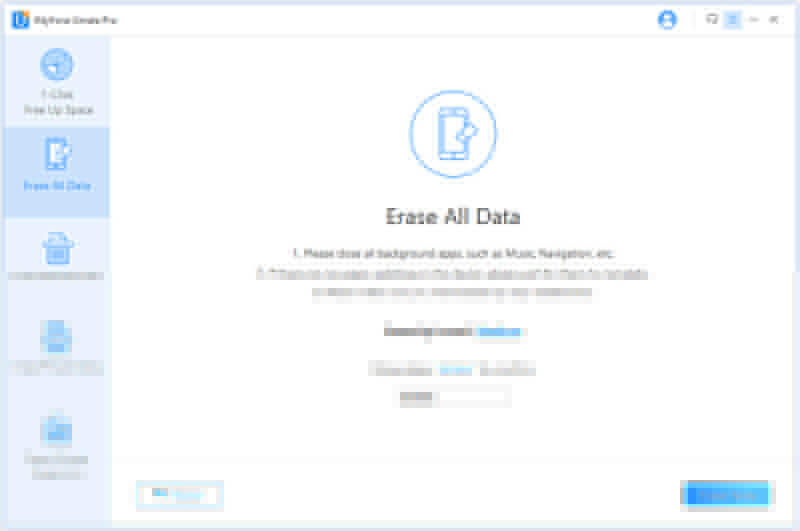 Delete your personal information to prevent unauthorized and malicious access by using iMyFone umate data eraser. Connect your iPad and run Umate Pro. Select the erase mode “Erase All Data” and click "Erase". Select the Security Level and click "Erase Now". Enter "delete" in the box provided. This will erase the data permanently for complete elimination. 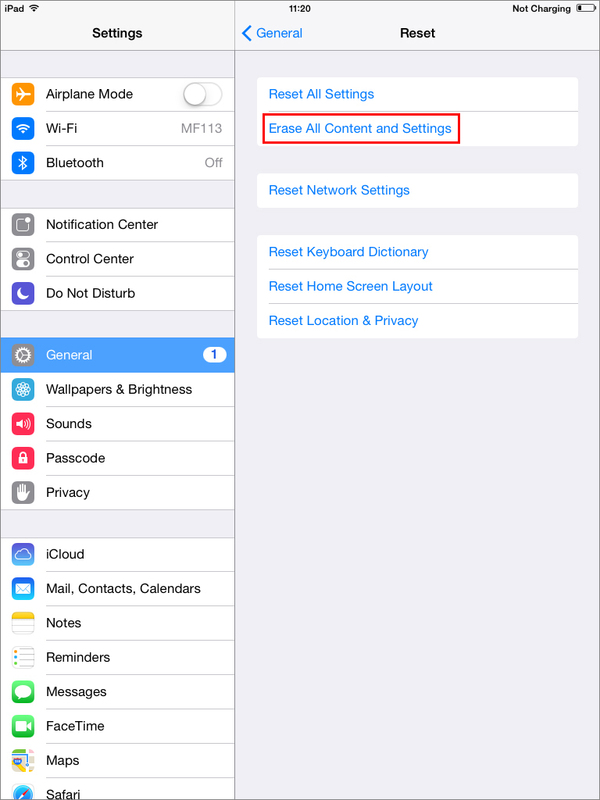 To properly delete your iPad’s data, follow these instructions. But the data you delete with this method stands as recoverable and can be fetched easily with any of the professional third party software! First, touch the ‘settings’ icon and select the ‘General’ option. Here, choose ‘reset’ and tap on ‘erase all content and settings’. You will be prompted to confirm the selection a second time so choose ‘erase’ again to begin the data wipe process. We recommend you to make sure taking a data backup before you delete all your data. To prepare iPad for sale is important. You do not want to give away your personal information and data to unknown users. Protect your identity by erasing the data completely. Umate Pro is the prior choice to prevent your privacy from leakage. Try it now! How to Reset Restrictions Passcode on iPad Pro/Air/Mini?